Dentrix is a desktop-based practice management software that provides solutions for both the clinical and business sides of dental practices. Their suite of products help practices manage their accounting, training, patient engagement and clinic scheduling all from one place. Dentrix was the first dental practice management software created for Microsoft Windows for those in the dental industry. 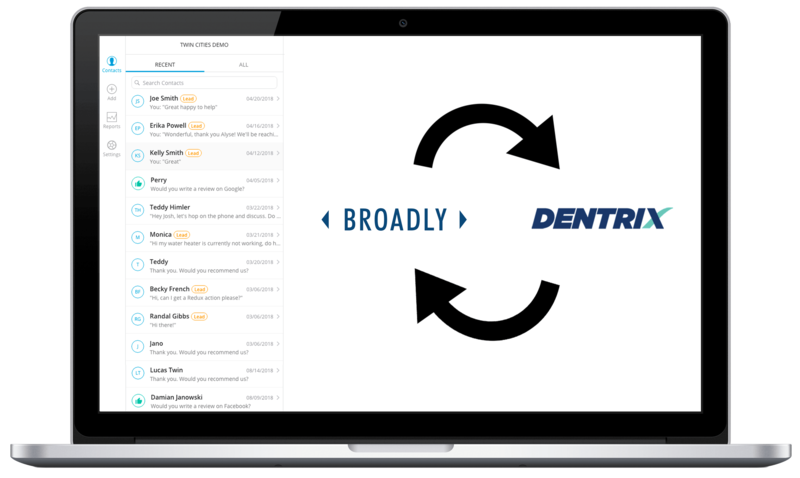 Broadly can connect to your Dentrix system to make patient follow up easy for you. Our team will integrate with Dentrix through your main server to send review requests automatically when an appointment is completed.